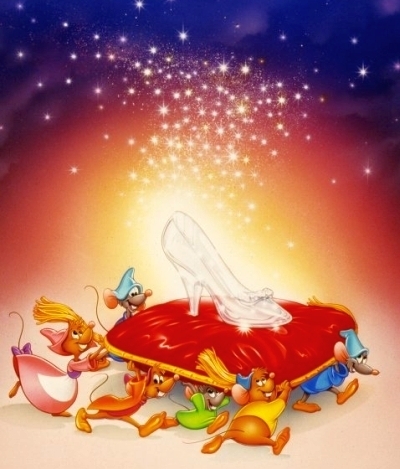 Cinderella's Glass Slipper. Cinderella's glass slipper, Gus and Jaq.. Wallpaper and background images in the cinderela club tagged: cinderella gus jaq glass slipper disney. This cinderela photo might contain anime, banda desenhada, manga, desenhos animados, mangá, and quadrinhos. i wish i had one... but it would break.